Voter Information Lookup Service - Find election information based on your home address. This information includes the location of your voting place, the candidates that will appear on your ballot, a sample ballot, your elected officials and how to contact them. U.S. citizen living outside of the United States who was qualified or would be qualified to vote in their place of residence in Maine prior to leaving the U.S. 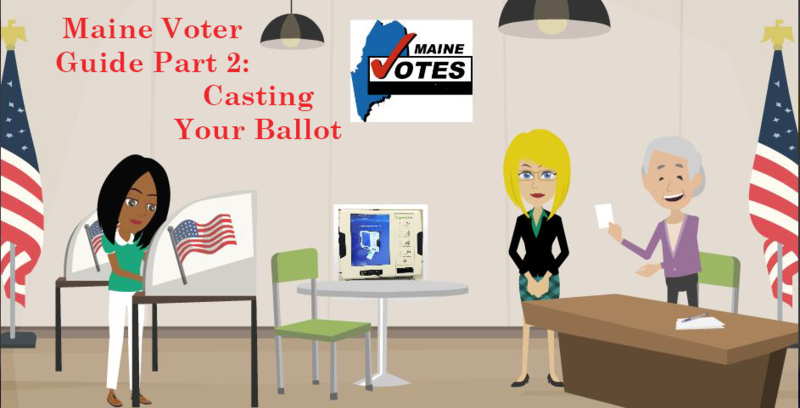 In Maine, a challenged ballot means a ballot cast by one whose eligibility to vote has been questioned during election day. All challenged ballots are initially counted in the same manner as regular ballots. No further determination is made on the challenge unless a recount occurs and it is determined that the challenged ballot could affect the outcome of the election. Therefore, all challenged ballots cast in districts where no recounts occur will have been counted. If one of the candidates in an election or one side of a referendum question, requests a recount and there are enough challenged ballots to affect the outcome of the election, then the challenged ballots in that district will be segregated, and the basis for each challenge may be determined by the appropriate authority designated by statute or by state or federal constitution. All challenged ballots were counted in the June 14, 2016 Primary Election. A notice will be posted here after 5 pm on November 16, 2016 (the deadline to request a recount) regarding whether a recount was requested. If no recount was requested, then all challenged ballots were counted . Any individual with a question regarding the conduct of elections in Maine, may contact the clerk or registrar of voters in their municipality to either obtain election information or make a complaint about an election issue. Many questions or complaints are resolved at the local level. Individuals may also direct inquiries and complaints to the Elections Division of the Secretary of State's Office at cec.elections@maine.gov or 207-624-7650. In compliance with section 402 of the Help America Vote Act (HAVA), the Secretary of State has also established an administrative complaint procedure to resolve alleged violations of Title III of HAVA. The new process established by rule is intended to supplement, not substitute for, the more expedient process of resolving election complaints informally by communicating directly with local or state election officials as described above. Individuals wishing to file a complaint under the administrative complaint procedure must complete the Administrative Complaint Procedure Complaint Form. Electronic versions of the form are available below, along with electronic versions of the rule governing the administrative complaint procedure, 29-250 CMR Chapter 510 - Administrative Complaint Procedure for Title III of the Help America Vote Act of 2002 (HAVA). Copies may also be obtained by contacting the Office of the Secretary of State.